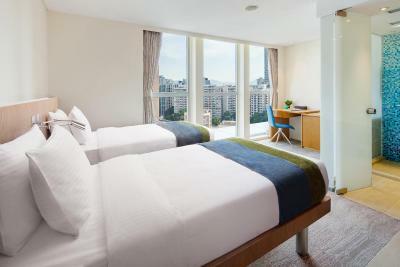 Lock in a great price for Summit View Kowloon – rated 8 by recent guests! It’s a great value for a lovely hotel. 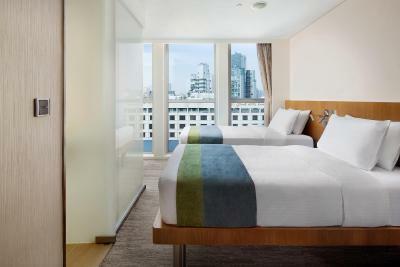 The staff is very friendly and the rooms are comfortable, even though they are small. 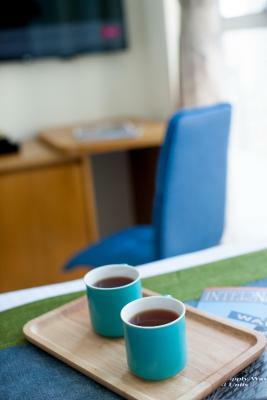 Quiet, clean, nice breakfast, close to main tourist areas. 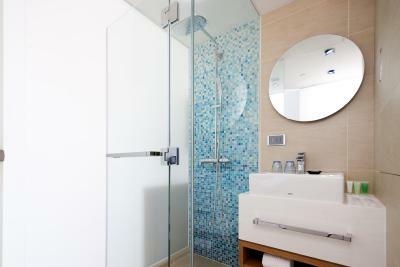 Clean rooms, great air circulation, no strange smells. 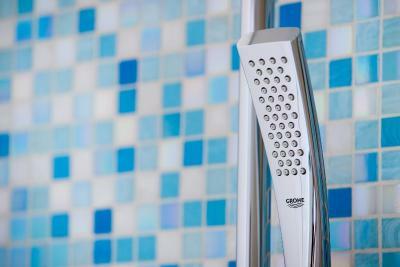 The water is always hot enough with a strong shower head. Quiet location. Great service. Courteous and polite staff who are efficient and ready to help. Delicious breakfast and dinner. 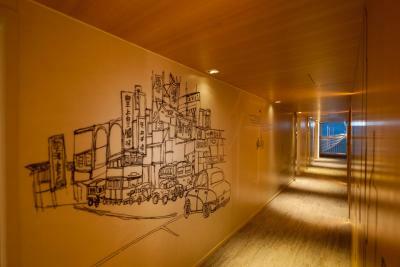 It's my favorite hotel in Hong Kong. The hotel is modern and clean. Everything seemed to be new and fresh. Good smell. Staff speaks English. I think that for Hong Kong it is a good value for money. Staff was really helpful. Room was very spacious with lots of storage. Good location near multiple bus lines. It was a new hotel so relatively clean. That's about it. 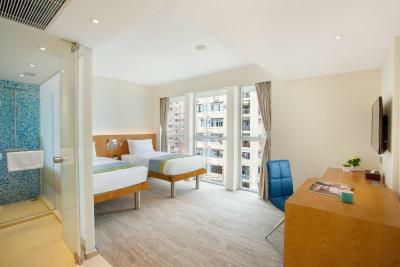 This is by far the quietest and cleanest hotel that I've stayed at in HK and I've stayed at over 10 four to five star hotels in HK. The air circulation was the best. I like how you get the freedom to adjust the air circulation according you your own needs. The hotel is a charm. The staff are really polite and efficient. It's really cozy and well maintained. 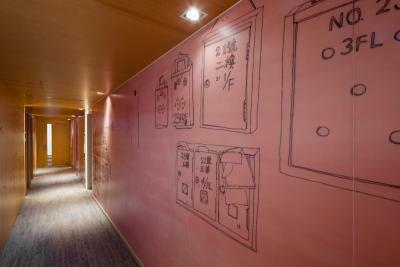 From now on I will always book this hotel when I go to HK. It's really a gem. Staff are very friendly and helpful. Room is clean. 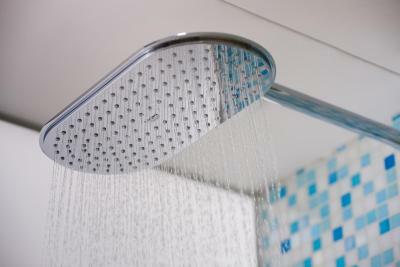 Love the shower. 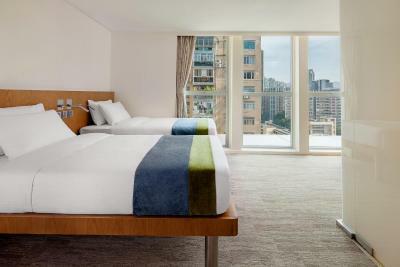 Summit View Kowloon This rating is a reflection of how the property compares to the industry standard when it comes to price, facilities and services available. It's based on a self-evaluation by the property. Use this rating to help choose your stay! 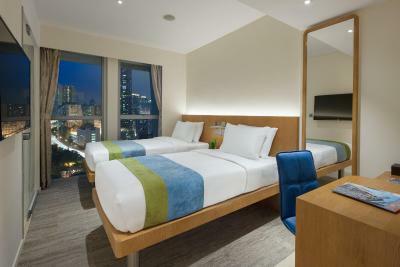 Summit View Kowloon is a female-friendly hotel centrally located in Hong Kong, about a 15-20 minute walk from Mongkok Station, Ladies Market and Temple Street Market. 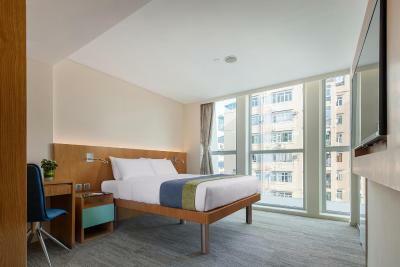 It offers a 24-hour front desk and provides 130 well-appointed rooms with modern style. Free WiFi is available in all areas. 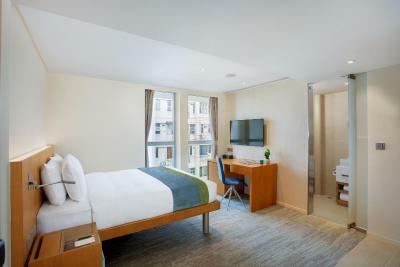 At the hotel, rooms are equipped with a mini-bar, wardrobe, flat-screen TV and a personal in-room safe. 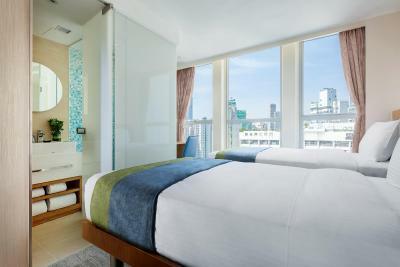 Each room is equipped with a private bathroom, while some rooms come with a city view. Kowloon Station is 1.4 mi from Summit View Kowloon, while Hong Kong China Ferry Terminal is 1.5 mi from the property. 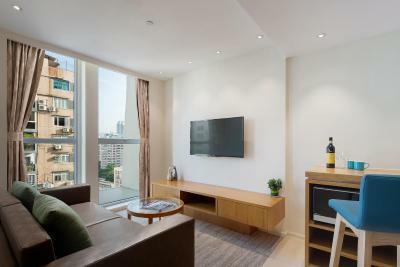 When would you like to stay at Summit View Kowloon? 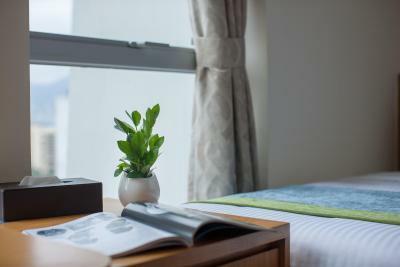 Cozily decorated, this room is furnished with a single bed with a private bathroom and equipped with self-contained in-room features and amenities such as an LCD TV, mini-bar, complimentary Wi-Fi internet access and coffee and tea making facilities. 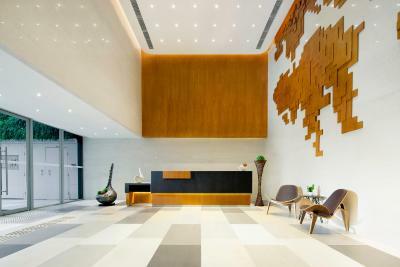 Please note that this is a hotel dedicated to female travelers and it is required to have at least 1 female adult guest when check in. 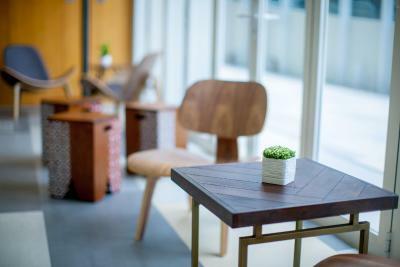 Private parking is available on site (reservation is not possible) and costs HKD 28 per hour. Stylishly decorated, this room is furnished with one double bed or two single beds with a private bathroom and equipped with self-contained in-room features and amenities such as an LCD TV, mini-bar, complimentary Wi-Fi internet access and coffee and tea making facilities. 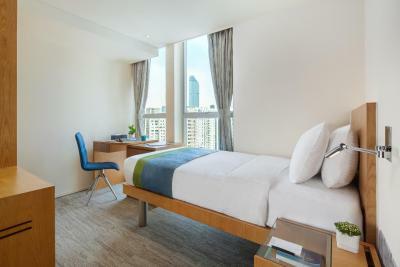 Located on higher levels, this room is furnished with one queen size bed or two single beds with private bathroom and equipped with self-contained in-room features and amenities such as an LCD TV, complimentary Wi-Fi internet access and coffee and tea making facilities. Decorated in a homely but contemporary style, this room is furnished with 2 single beds, spacious enough for an extra bed at a special rate and equipped with self-contained in-room features and amenities such as an LCD TV, mini-bar, complimentary Wi-Fi internet access and coffee and tea making facilities. 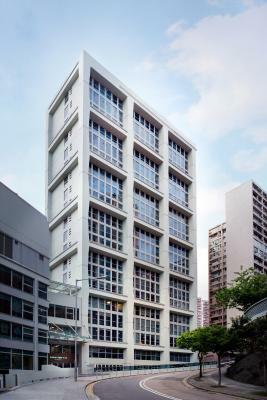 House Rules Summit View Kowloon takes special requests – add in the next step! 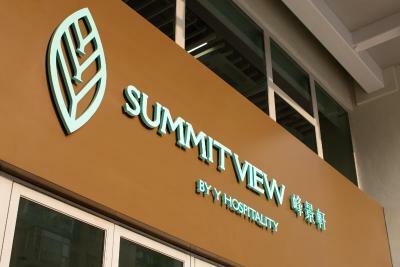 Summit View Kowloon accepts these cards and reserves the right to temporarily hold an amount prior to arrival. 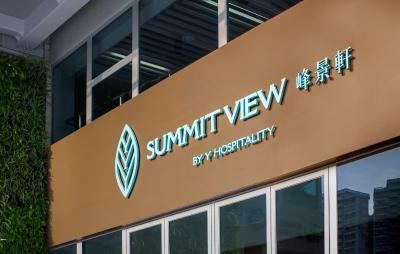 Please inform Summit View Kowloon of your expected arrival time in advance. You can use the Special Requests box when booking, or contact the property directly using the contact details in your confirmation. Honestly, the breakfast was terrible. Air conditioning is a bit noisy but we it is still ok. If there were fitness facilities (gym/sauna). The hotel didn't provide any water. You had to pay per bottle and when I complained, they said this is hong Kong. ?!?! Breakfast was a selection of their cheapest 4 dishes on the menu. The room was tinnnnnnyyyyy. No real spce to place your bag. Ours was at the edge of the bed and blocked the entrance when we had the bag open. There was no coffee sachets in the room either. Just tea. location entrance is not facing main road. a lot of walking. cancellation policy and deposit requirements are unfriendly. I felt very comfortable staying here as a single traveller - the area was quiet but not dodgy! The staff were great with chinese and english! Despite the size, i really liked my room! 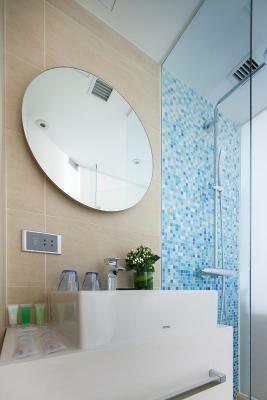 It was clean and simple, and had everything i needed for a single night stay! As with some reviews, it's not very close to the MTR, but it's just a straight 10-15 minute walk - i personally didn't mind this, you can find loads of bakeries and restaurants once you get down to the main road! Overall, I had a pleasant stay and would happily stay here again! The location was really great, walkable to a lot of neighbourhoods and only 15 minutes from the metro station. The hotel was also very clean and comfortable. The only thing I would say it needs is a shuttle to and from the airport. Nothing, everything was fine. If I really wanted to be picky, maybe just the elevator was a bit small compared to standard sized elevators. But who cares? Your luggage will fit.